The team at EVH Gear and Fender went further in their quest for more affordable guitars that anybody on any budget can enjoy and use for their enjoyment. 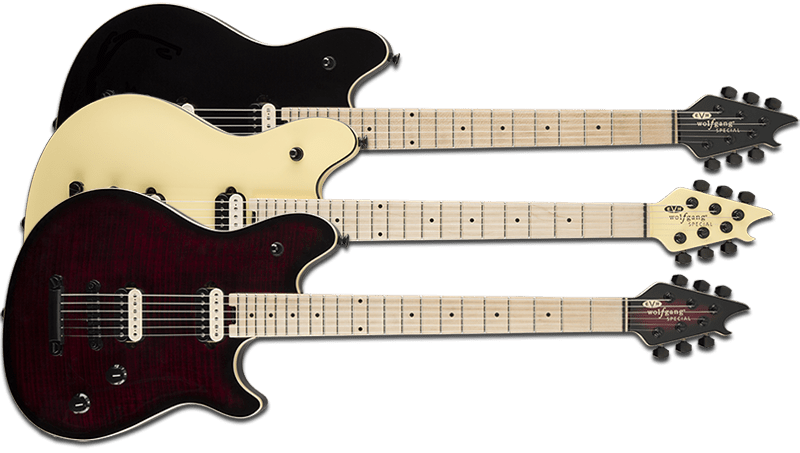 The relatively new line of EVH Wolfgang guitars, the EVH Wolfgang WG Standard is a straightforward and much cheaper alternative to the other Wolfgang guitars made. Keeping most of the features that are present on the other lines of EVH Wolfgang guitars, these guitars are the best bargain that you can find around from EVH/Fender. Coming a variety of wonderful and interesting finishes, it is a bargain not to be missed. Although being the low end of the price range of EVH Wolfgangs, the WG Standard is a good starting point with various beautiful finishes. Colours: Transparent Purple Burst, Transparent Blue Burst, Transparent Black, Transparent Red, Ferrari Red, Gloss Black, Silverburst, Snow White, Mystic Blue Metallic. Unique Features: Unique EVH Wolfgang Body and Headstock Designs, Exposed Basswood to Simulate Natural Wood Binding on Transparent Colours, Bar String Retainer, Side-Mounted Rectangular Output Jack Plate, Heel-Mounted Spoke-Wheel Truss Rod Adjustment, Oversized Strap Buttons. Included Accessories: Wrenches, Tremolo Arm. Note that the EVH Wolfgang WG Standard may look uncomfortable to play, yet unlike many other of Eddie’s previous guitars, there is appropriate body contouring carved into the wood. 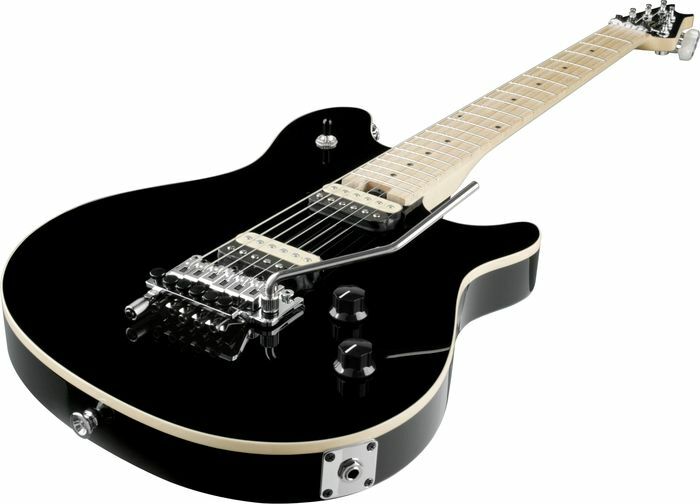 Unique Features: Unique EVH Wolfgang Body and Headstock Designs, Exposed Basswood to Simulate Natural Wood Binding on Transparent Colours, Side-Mounted Rectangular Output Jack Plate, Heel-Mounted Spoke-Wheel Truss Rod Adjustment, Oversized Strap Buttons. In short, if you are longing for an EVH Wolfgang guitar and you are really short of money, the EVH Wolfgang WG Standard may be your best bet indeed. 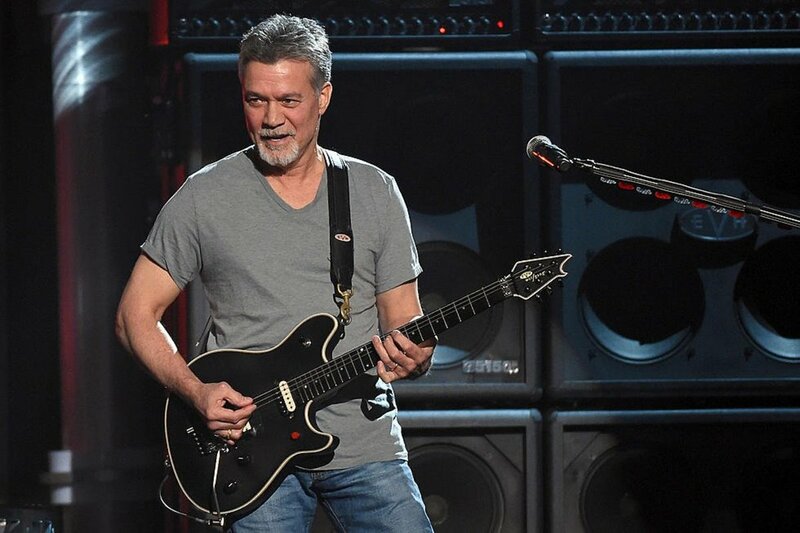 There is no excuse to be a fan of Eddie Van Halen and to not own an EVH Wolfgang anymore, with the EVH Wolfgang WG Standard. This entry was posted in Guitar, Music, Rock, Sound, Technology, Uncategorized, Van Halen and tagged Electric Guitar, EVH Gear, Fender, Gear, Music, Rock, Sound, Wolfgang on June 14, 2017 by chrisairey01. After some time, the EVH Gear team realised that what was needed was a cheaper, more traditional alternative to their line-up of guitars. Along came shortly after the introduction of the main EVH Wolfgang series the EVH Wolfgang Special. The EVH Wolfgang Special is a more traditional approach to the EVH guitars made and designed by EVH/Fender. The non-American made EVH Wolfgang Specials bear little difference to the main line of EVH Wolfgang guitars, except that some models come with a flame maple top and most notably on many models, with a maple fingerboard. So for those who love the more traditional approach to maple necks and a cheaper price tag, there is a good option for those looking for a better alternative to the EVH Wolfgang line. As indicated by EVH Gear, the Striped Wolfgang Specials are hand painted as opposed to a Graphic paint job, which is a bonus in any guitar player’s book. These guitars take around three weeks to be constructed from start to finish. The EVH Wolfgang Special Striped is one good looking shred machine. There are four main models to choose from: EVH Wolfgang Special; EVH Wolfgang Special TOM, EVH Wolfgang Special Striped and the EVH Wolfgang Special Striped Black and Yellow. Note that the EVH Wolfgang Special Striped and the EVH Wolfgang Special Striped Black and Yellow versions of the EVH Wolfgang Special line are relatively recent additions to the line-up. Also note that the EVH Wolfgang Special Striped comes with an Ebony fretboard, as opposed to maple. The standard EVH Wolfgang Special comes in an array of different colours to choose from and the price hovers around the $1,300US to $1,500US price range. The EVH Wolfgang Special comes in a large variety of colours, such as the El Natural finish. Colours Available: El Natural; Satin Red; Matte Army Drab; Gold; Gloss Black; Stealth Black with Ebony Fingerboard; Vintage White; Burnt Cherry Burst; 3 Tone Cherry Burst; Tobacco Sunburst. Pickup Switching: 3-Position Toggle: Position 1. Bridge Pickup, Position 2. Bridge and Neck Pickups, Position 3. Neck Pickup. Colours Available: Burnt Cherry Sunburst; Gloss Black; Vintage White. Please note that although the EVH Wolfgang Special Striped and the EVH Wolfgang Special Striped Black and Yellow are not covered here, they will be covered in another area as this is a relatively new addition to EVH Gear. If these guitars sound like that they are ideal for you, please visit www.evhgear.com for more information. Now there are no excuses for those who love Maple fingerboards to pick up an EVH Wolfgang Special. This entry was posted in Guitar, Music, Rock, Sound, Technology, Uncategorized, Van Halen and tagged EVH, EVH Gear, Fender, Gear, Rock, Sound, Special, Striped, Wolfgang on June 9, 2017 by chrisairey01.